A lot of people come to me and say something along the lines of I want to start advertising on Facebook. What should I do? This is pretty vague because every company has a different goal. One might strive to generate leads (best option), one might want to increase reach, one might want to boost members on your and one might want sales and nothing else. Each goal will require a different Facebook advertising strategy and will help you determine whether you want to boost a post or start an ad campaign. They are different. Trust me. While every time I would opt for the lead generation option, the goal you set must have a clear definition so you can monitor and track your real results. Without tracking you are throwing money in the wind and hoping that it doubles. Facebook gives you options to track and monitor the success of your campaign. You can use their pixels to generate sales or signups. This requires you put a tiny bit of code on your landing page so Facebook can see your conversion rates. Another way to do this is to set up your own goal specific landing page and track your leads and conversations through your own software. We use Infusionsoft for this and it is amazing because we can look at the life value of a customer. Remember, if you advertise today for leads and that lead doesn’t buy until a year down the road, that lead source should still be marked as Facebook Ads. A bit mistake people make is look for immediate results with an ad campaign and not the life value of the campaign. With great email marketing you can turn that lead into a sale when they are ready to buy. This means your cost per acquisition from that particular ad campaign will be higher in the beginning and will optimize over time if you are nurturing them correctly. 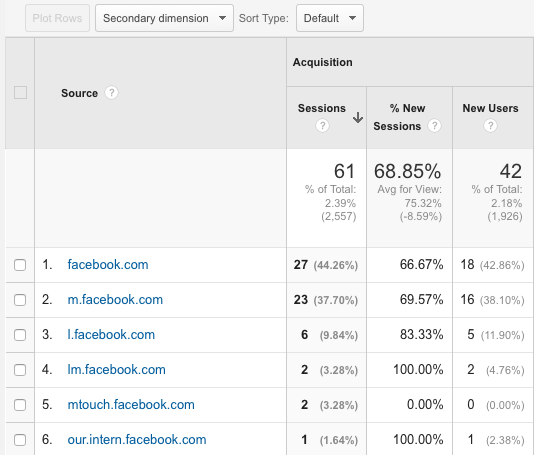 Unfortunately Facebook is not very kind when it comes to analyzing referral traffic. In most cases your analytics, especially if you use Google Analytics, will show the following 3 links for Facebook traffic. l.facebook, which usually indicates traffic from a shared link. Facebook.com, which usually means from the desktop or your page link somehow. This is why using a tracking code, a special phone number on the landing page, or a very specific landing page is so important. Without it, you are pretty much lost in the dark and left guessing on what traffic came from the advertising and what came from organic shares from you, your customers and your Influencers. This is just as important as your goals. In fact it may even be more important. The better your ability to target your audience on Facebook, the more effective your campaign will be. Plus your cost per click or action will be a lot lower. That’s means you can reach more people within your budget. There are a few different ways to target people. You can use a custom audience, which is essentially your email list. This is a great way to reach people who you already know or are already somewhat familiar with you. This option will give you a really great return because you don’t have to work as hard as building the relationship with them. You can target by likes and demographics, which is also a great way to reach new people. I like to include as many likes as possible. For example for a food company, I want to target people who like Martha Stewart, The Food Network, Food & Wine Magazine, Home Cooking, etc. The more of these I input the more targeted my ad group will become. If you know your audience well, which you should as a business owner, you will be able to get a low cost per click and some great results. The last way is to boost to your page and to their friends. This option produces the worst results usually because people might have become stale on your fan page and people like fan pages for different reasons which may or may not still be relevant to you and what you are selling. The goal here is to get as targeted as possible and deliver a message that hits them right between the eyeballs so they can’t say no. What are some of your tricks and tips for Facebook Advertising? Facebook is a tremendous market for any website. If done wisely it can give awesome results in term of traffic. 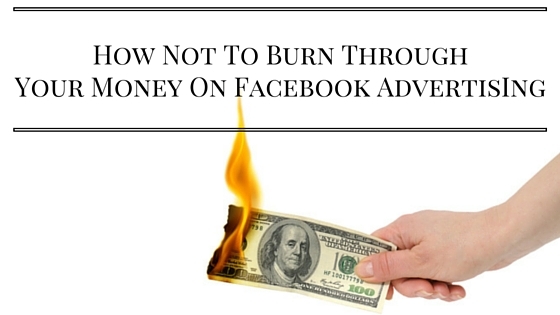 Thanks for sharing such a nice article, elaborating all the great tips on facebook advertising campaign.